(Drum roll please…) It’s official! 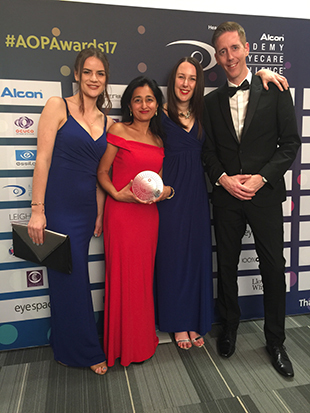 Taank Optometrists has fended off nationwide competition to win the Association of Optometrists ‘Practice of the Year, 2017’. Being voted Britain’s best doesn’t happen every day so we want to say a heartfelt thank you to you, our lovely customers and friends, for giving us your unwavering support. We couldn’t do any of this without you. To celebrate, please join us for nibbles and a glass of bubbly so we can raise a toast to you for inspiring us to be better every day.